1 year warranty including priority technical support. This point to point wireless bridge has an extremely high 866 Mbps throughput via its unique and powerful RF design that supports up to 256QAM modulation and 31 dBi output power. The proprietary W-Jet V protocol, specifically engineered for high performing PTP scenarios, minimizes interference even across long distances and stabilizes latency within 2-4 ms. GNS Wireless recommends line of sight for maximum range of 5 miles. For best performance, and to utilize the 80MHz channel width, 2 miles or less is ideal. Each antenna uses a static IP address for web based configuration, testing, signal strength monitoring, and link adjustments. This IP address is for network configuration only, and plays no part in your network topology. GNS Wireless ships the point to point wireless bridge pre-configured, for "out of the box" installation and is up and running as soon as you point the antennas at one another, align them, and power up. 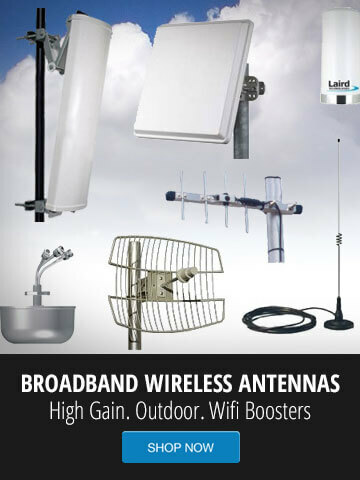 This link includes a robust mounting bracket for each antenna that enables rapid deployment of the link and ensures link integrity during high wind-load. The 23dBi integrated antenna possesses a 45° rotation option which increases installation flexibility; especially advantageous in noisy spectrum areas. Technical support is included before, during and after installation. 1 year warranty on all products is included at no additional charge. 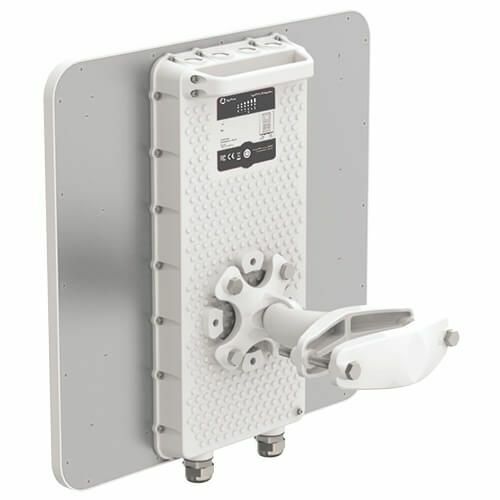 This 866 Mbps wireless bridge is the latest in high speed communication between two locations that uses high power, and adjustable channels on the 5GHz wireless network. WPA2 security is enabled by default using proprietary security. This link is ideal for customers looking to support large amounts of voice, video or file sharing at their remote locations. This is a high reliability wireless bridge, with extremely low latency, and powerful performance using a 1.2 GHz CPU, and 200,000 packet per second processing power. The link supports QoS with hardware acceleration.